As technology advances, it is becoming increasingly easy to offer therapy services using Skype or similar methods. This not only makes therapy more convenient in these busy times, it makes it much more accessible to people who are unable or unwilling to attend a clinic in person, for whatever reason. 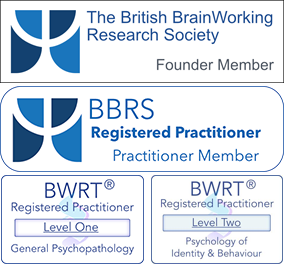 Since BWRT® does not require a client to enter a trance state or anything similar, it is an ideal therapy to use via Skype or similar platform and this makes it instantly accessible to people all over the world who might otherwise be uanble to visit a clinic. Other forms of therapt can also take place via Skype. Hypnotherapy is also possible via Skype, although ideally I would first see you in person. To arrange a Skype session, please fill in the form below. I will then contact you with my Skype details and to arrange a time for your appointment. When that is agreed, I will invoice you via Paypal. Once payment is received, you will receive confirmation of your appointment. Please note: It is your responsibility to contact me at the time of your appointment. I will be waiting to take your Skype call. If for any reason you cannot make the agreed time, please give as much noitice as you can, ideally 24 hours at least. If connection is lost during the session, all attempt will be made to restore connection and continue, but in extreme circumstances or technical difficulties an appointment may need to be rescheduled. If that is the case, there will be no additional charge to you.